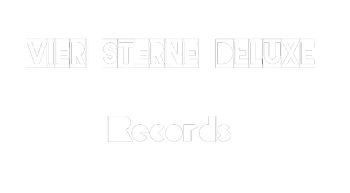 Vier Sterne Deluxe was founded as a music project in 2011 by DJ Kaito (Simon Bohnsack) and DJ Sheldon (Max H.). "Vier Sterne Deluxe Reords" as a Labe was introduced in 2012 with the release of "DJ Kaito Nr.1", cause Simon thought that every tape or album need a Lable, so he created one out of his MusicProject. Sometimes short forms like VSDeluxe Records or just VSD were used on the releases. With the title "6 October (Tag der Nation)", DJ Kaito created the successful song in the history of Vier Sterne Deluxe Records in 2012, currently with more than 10,000 views on YouTube and more than 3,000 mostly free downloads. In October of 2016 we partnered with the downloadplatform INICAT. The DISS EP by DJ Kaito skyrocked to Nr.1 of the INICAT charts at release and stayed a few weeks in the top 5. In December 2016 we partnered with CDBaby for putting future releases of our artists on mature platforms like Itunes, Amazon and Spotify, also they made our CDs availeble in the USA and other places in the World. After one year, in January 2018, we made the first deals with Record and CD stores for distributing the CDs our artists in Germany by our selfs. In the year more stores partnered with us and in late 2018 we expanded to the Netherlands. Today we got 15 own partner stores and reach 10.000+ stores arround the world with our disribution partners. Vier Sterne Deluxe was founded as a music project in 2011 by DJ Kaito (Simon Bohnsack) and DJ Sheldon (Max H.). In February 2012 A.G. (known today as DJ Amph3x) will be announced to the two and joins the project in the summer. The same month the first release under the Vier Sterne Delxue Lable name takes place in the form of the trash tape "DJ Kaito No.1". in Srpng 2012 The first release in the name of the music project, in the form of the "Und dein Herz schlägt schneller EP". In Summer of 2012 DJ Moesql joins the project and started working on mixes. In Spring 2013 the first works for the Vier Sterne Deluxe Album "Owns" has begun, and in August the album "Und dein Herz schlägt schneller was released. DJ Moesql leaves the project in summer of 2014, two years after he joint. Si-To MC, a friend of Kaito takes his place. In October that year the "Unbequem Fernsehen" EP was released. One year later DJ Sheldon leaves the project too. Work on the planned Soloproject "DJ Sheldon Nr.1" were discontinued. In November of 2015 the Album Owns was finaly released. Owns is the only Album of the project where anyone of the members since the foundation in 2011 worked on. In 2017 Sintakk, Boozer and Tybalt, joint the project for a few songs. Solo musician and head behind Vier Sterne Deluxe Records. Born in 1997 in Hannover he makes music since 2011. He released the first TrashTape that started Vier Sterne Deluxe Records. In the same year he gave hist first Concert. In 2016 and 2017 he was on Tour in Germany. He also moderates formats such as the "Alte Spiele Podcast" or "Die Redlichen". Furthermore he was CEO of the German YouTube Wiki from 2015 to 2018. Today he works there as a Social Media Manager. 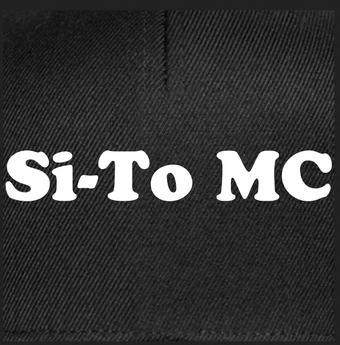 Si-To MC is very reserved about the appearance in public. 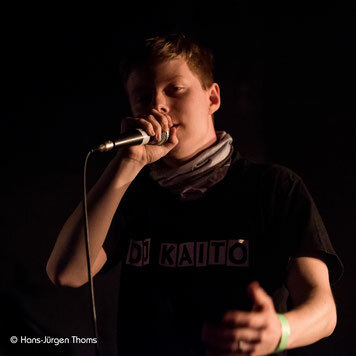 He first appeart 2013 on DJ Kaitos Mixtape "Das Vermächniss der RST" on the Song TO o to. In the same year they released a EP together. Si-To is a member of Vier Sterne Deluxe - a Musicproject since DJ Moesql left the Project. In 2015 he released is first own album "Anders is besser" for free download. He appears since on albums from DJ Kaito. In 2019 it was announced that he will release his second album called BLACK. DJ Amph3x is aso known as "Captain Germany" or "A.G.". He joint Vier Sterne Deluxe in Spring 2012 as A.G. . A video with DJ Kaito follwoed. In 2013 he made a few Lets Plays on YouTube unter the name Captain Germany, and got quick into music based games. Together with DJ Kaito a single called "Monster" was planned but never released in 2015. Sheldon was responsible for checking if songs / videos are okay. Nothing was published without his consent.He also took care of tags, kept statistics in mind ec. In late 2012 a "DJ Sheldon Nr.1" Mixtape was planned and nearly finished in Summer of 2015. It was cancelled when he left Vier Sterne Deluxe Records in 2015. Was a permanent part of the project from 2012 to 2014. Is now and than involved in some tracks. In 2016 he released a EP.